PRNewswire: Intersil introduces a ToF signal processing IC that provides a complete object detection and distance measurement when combined with an external emitter (LED or laser) and photodiode. 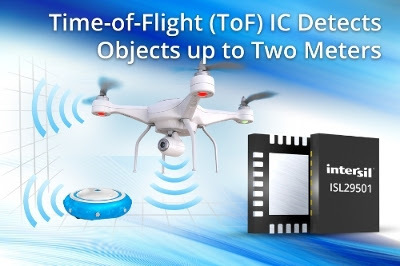 The ISL29501 ToF device is said to offer one-of-a-kind functionality, including ultra-small size, low-power consumption and superior performance for IoT, as well as consumer mobile devices and the emerging commercial drone market. The ISL29501 overcomes the shortcomings of traditional amplitude-based proximity sensors and other ToF solutions that perform poorly in lighting conditions above 2,000 lux, or cannot provide distance information unless the object is perpendicular to the sensor. Alternative solutions are too expensive, bulky or power hungry for use in small form factor, battery-powered applications. 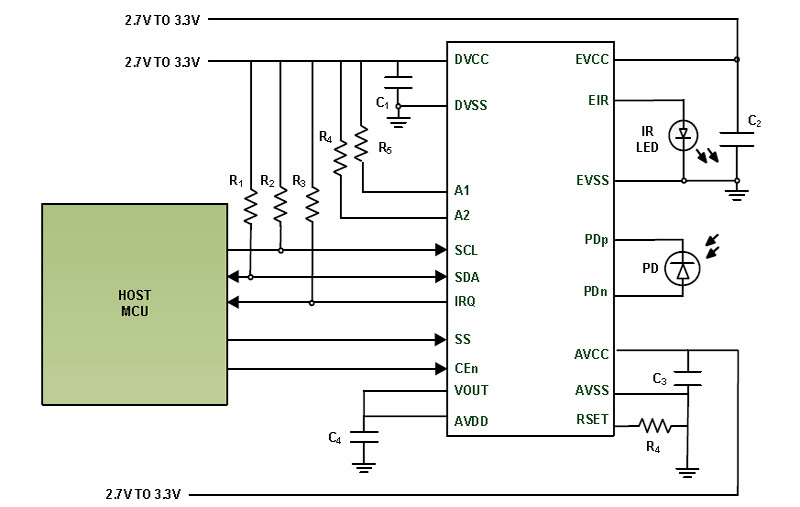 Based on Intersil's patented technology, the ISL29501 sensor provides a small solution footprint and precision long-range accuracy up to two meters in both dark and bright ambient light conditions. 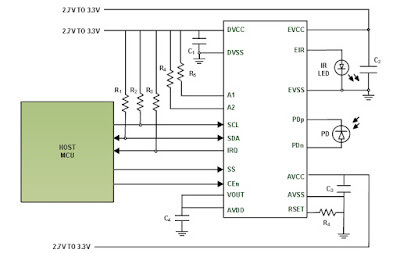 Unlike competitive solutions, the ISL29501 allows customers to select the emitter and photodiode of their choice and configure a low power ToF sensing system customized for their application. "Prior to Intersil's time-of-flight technology breakthrough, there was no practical way to measure distance up to two meters in a small form factor," said Andrew Cowell, senior vice president of Mobile Power Products at Intersil. "The innovative ISL29501 provides customers a cost-effective, small footprint solution that also gives them the flexibility to use multiple devices to increase the field of view to a full 360 degrees for enhanced object detection capabilities." Intersil has received a number of patents of ToF with ambient illumination rejection, such as US8274037 "Automatic calibration technique for time of flight (TOF) transceivers" by David W. Ritter, Philip Golden, Carl Warren Craddock and US8530819 "Direct current (DC) correction circuit for a time of flight (TOF) photodiode front end" by David W. Ritter, Philip Golden, Carl Warren Craddock, Kevin Brehmer, and US8530819 "Direct current (DC) correction circuit for a time of flight (TOF) photodiode front end" by David W. Ritter, Itaru Hiromi. The ISL29501 ToF processing IC is available now in a low profile 4mm x 5mm, 24-lead TQFN package and is priced at $4.87 USD in 1k quantities.